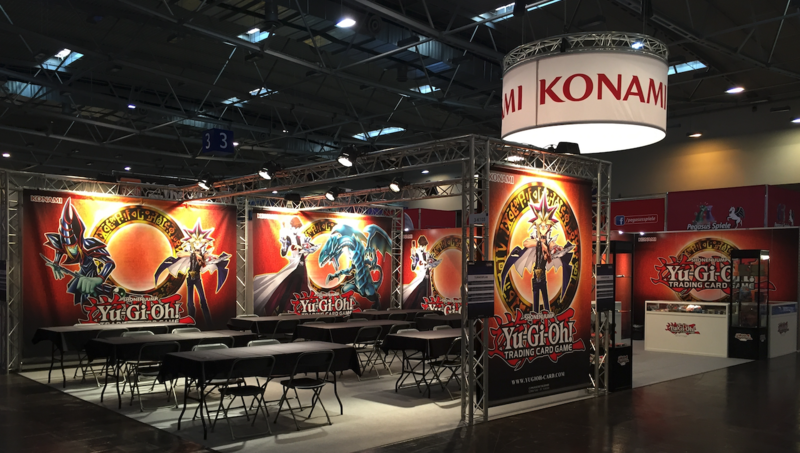 SPIEL’16 in Essen: Konami Digital Entertainment lays its cards on the table with the help of Dazzle Events. Every year, the ‘Internationale Spieltage SPIEL’ show in the German city of Essen is an unmissable event for game sellers and enthusiasts in Europe. It was a perfect opportunity for Konami Digital Entertainment to show off its Yu-Gi-Oh! game. Dazzle Events took care of the logistics and practical organisation of the event. Since 2011, Dazzle Events has organised all the major European Yu-Gi-Oh! card game tournaments. 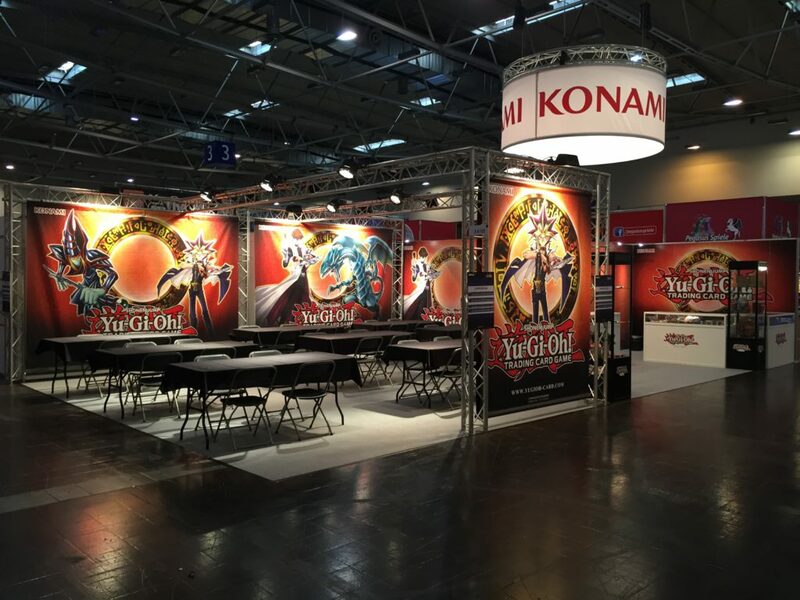 The team was also commissioned by Konami’s European head office to set up a stand at the Spielwarenmesse show in Nuremberg. On this occasion, the German head office called upon Dazzle Events to organise ‘SPIEL 16’. The decisive factors were its overall market knowledge and ‘hands-on’ approach. Konami set clear goals for the show, which included providing a demo and initiation session for 600 visitors. Its employees reported back on all the relevant data collected during these meetings. Wouter Maenhaut (Dazzle Events): “Dazzle Events was responsible for producing the materials, as well as all the organisational side and finding the right people. ‘Efficiency’ and ‘budget-friendliness’ were buzzwords at the event. We used the stand design from the previous edition of the show. In particular, we demonstrated our creative added value in the way we brought the stand to life. Each day, we organised 150 demos of the game and invited 150 visitors to take part in the tournaments.” For the more business-focused events, the team provided a comfortable meeting space for B2B customers and Konami’s sales/regional managers. Putting Konami’s game Yu-Gi-Oh! in the spotlight during the Internationale Spieltage in Spiel.